Can one band manage to sound like both Led Zeppelin and Sonic Youth, and yet still somehow get tagged as some mathrock prog outfit? Yes, apparently. Polvo’s fantastic new record In Prism is a unique and original sounding disc that shatters labels and transcends genres to land in the lofty pile of great rock records. Not unlike Stephen Malkmus & the Jicks recent Real Emotional Trash album, In Prism also pulls off the rare trick of being immediately likable as well as a grower that gets better with more listens. And also like that album, it’s hard to describe as it meanders through rockers, quiet somewhat-psychedelic interludes, stomping beats, and catchy crunching riffs (often all within one song). It really doesn’t sound like Zeppelin OR Sonic Youth, regardless of what my first line of this review said. And there are a few other loose and partially inaccurate comparisons that could be made, but I just can’t put my finger on them. The bottom line is that this is just a really great record, easily among the best of 2009. If you like rock music, if you like interesting music, I can’t see how you wouldn’t love this album. And despite all the critics calling it alt-prog mathrock, it’s actually pretty catchy and easy to listen to. 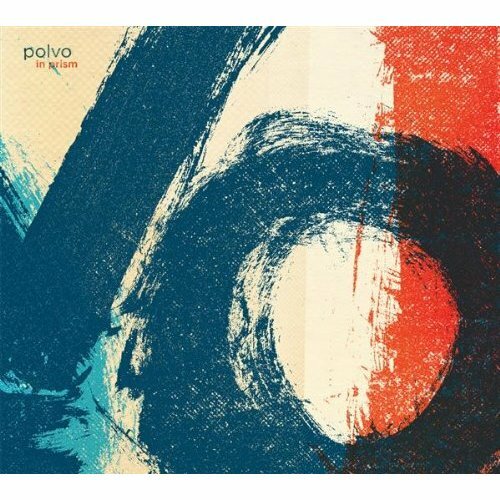 Funny story: I’d actually never heard of Polvo until I read something about this new album. Apparently (I’ve since found out) they were a relatively well-known alt-rock outfit in the 90’s, and this album is a reunion of sorts after a 10-year hiatus. I guess the shifting tempos and unconventional arrangements are what got them that mathrock label. I don’t know, I’ve still never heard their old albums. But I’ve been streaming this forthcoming new album (to be released September 8, 2009) on the Merge Records website over and over again since it first sunk its hooks into me a few weeks ago. So of course I email a couple guitarist friends of mine to say “you’ve got to check out this band called Polvo, this new album is streaming free for a while.” Well, one of the guys shoots back sarcastically “have you heard of this great new band called The Who?” and proceeds to inform me that the other guy actually named his dog Polvo. So yea, they’d heard of them. I’m generally the kind of guy who’s heard of a lot of bands that most consider “obscure” or whatever, but obviously I must have missed this one. I spent most of the 90’s listening to either Grateful Dead or hip-hop. So excuse me if freakin’ Polvo is now such mainstream old news. But really… POLVO? I’m a Johnny-come-lately for not knowing POLVO? Welcome to the internet, circa 2009, where you can be laughed at as the “last to know” by streaming a new album that isn’t even out yet.